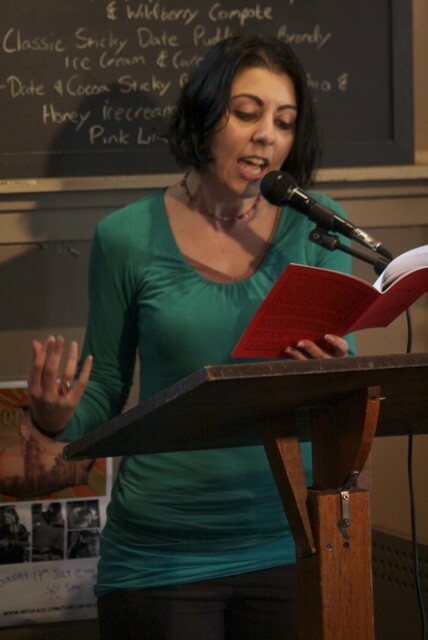 Koraly Dimitriadis is a poet, writer, and performer. She is the mother of one daughter and resides in Melbourne, Australia. Q: When do you find time to create? A: I actually started my creative explosion when my daughter was born. When I gave birth to her I also birthed the creativity I had kept buried inside me all my life. Trapped by cultural expectations and norms, my writing was my escape. I would write every time she slept. The writing awakened me from the slumber I had been in most of my life. After my marriage ended, I exploded in poetry. I couldn’t stop. I would perform at open-mic events when my daughter was with her dad, and I would write poems while other poets were performing. I’d write poems after encounters, fights with family—it was like I was documenting my trajectory. Poetry was everything. It was my lifeline. That was four years ago. A lot has happened since then. I have found some normality and structure in my life, and I’m treating my artistic career more like a business. My daughter is at school, so I create when she is at school or when she is at her dad’s. My daughter returning to school has also allowed me to return to work casually as a computer programmer. I was skeptical at first and worried that my art would suffer for it, but it has actually made me more focused. As a parent, your hours when you can do your stuff shrinks; when you work, it further shrinks. But I believe if one is passionate and motivated, they will find a way. I wrote my way out of my own prison. Occasionally, I will be inspired to write a poem when my daughter is with me. Now [that] she is older, I can explain to her that “Mummy has to write this poem,” and she understands. When I get a poem in my mind, I have to write it down. I will even write it on my phone if I need to. It just has to come out. Q: What is the hardest thing you’ve had to overcome when creating? A: Getting my family to accept me for who I am—that person, being, an artist. In my culture, people are doctors and lawyers, definitely not poets, let alone poets who write books called Love and F**k Poems. It has taken all my life to have them accept it. This battle has been fueled by art, but, at the same time, it has been the most difficult thing to overcome. It’s both. For more on Dimitriadis, visit her website.